Cruz Alta has been named in the past as one of Wine and Spirits top value brands from South America. I am a big fan of their everyday Malbecs ($12 for "regular", $15 for their Reserve, and $18 for their Grand Reserve - all really good!). I decided to move up into their "Weekend Wine" level offerings at about $25 with their limited availability Chairman's Blend. This wine throws some Cabernet Sauvignon and Syrah in the mix, plus gets 18 months in French and American Oak. 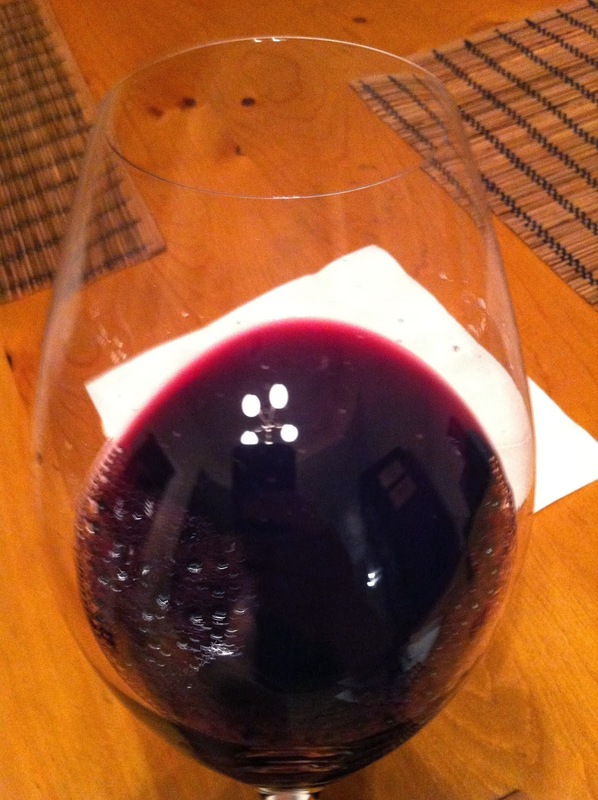 Appearance: Wine is clear, deep dark purple with a water white rim. Aroma: Dark fruit like blackberry, vanilla, dark chocolate, maybe a bit of coffee. Taste: Nicely tannic, great fruit forward flavor, nice finish that highlights the chocolate notes. The Grade: I give this one an A. A much bigger wine from the addition of heavy hitting Cab and Syrah, plus ample time in French and American Oak. 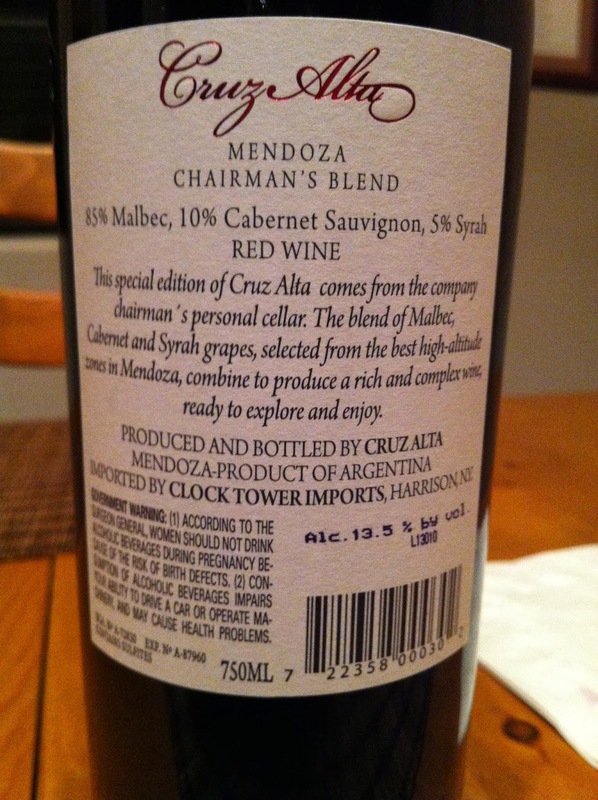 If you like Malbec and want to try something with a fuller body - give this a try. 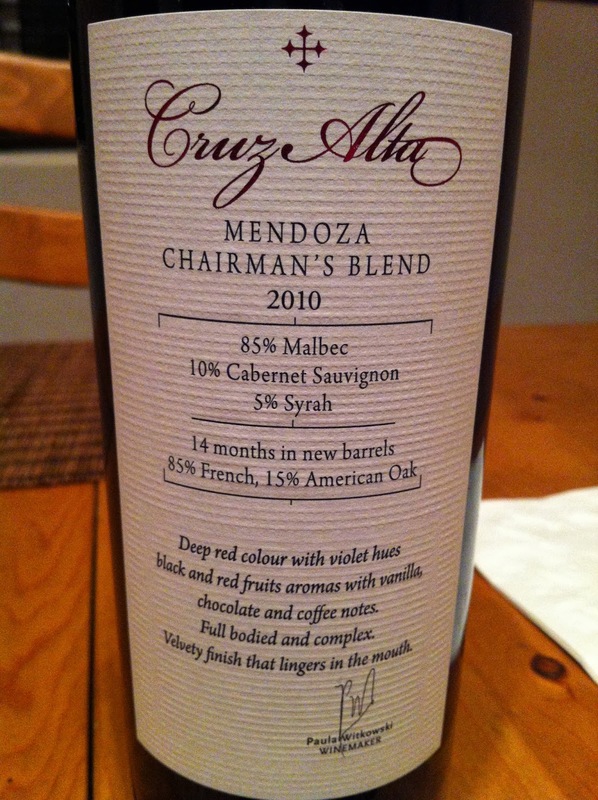 With Cruz Alta you can definitely taste the difference between their price levels - you get what you pay for! Wine Enthusiast gives this only 86 points - close to very good, but only in the good range. 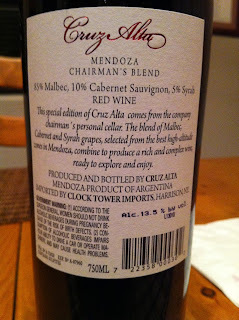 I think you are correct for the 2012 at 86 pts, but this 2010 I reviewed got 90 pts. Wish I still had some!!! !